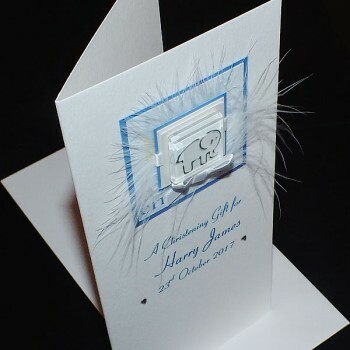 The card can be personalised with the name of the baby and date of the Christening. Please enter your own special message in the box when you order. 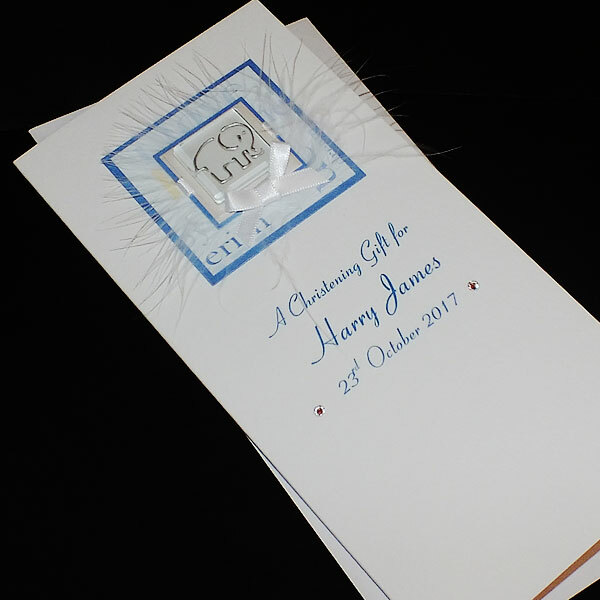 The card is blank inside and is supplied with plain white envelope.